Traveling with kids is one thing, and then add in the dynamic of traveling with a child who has multiple severe food allergies and you pretty much can consider a stress-free vacation good bye unless of course you pre-plan and organize food, food dining locations and stores that might offer items he can eat. My youngest son has severe and life-threatening food allergies. In fact, my son is allergic to so many different foods that the list of what he can eat is shorter than the list of what he can’t eat. Once we find an establishment that can service our family, we frequent it, but we still use caution when dining there as we always check and re-check his food options with the Manager on Duty. Travel is all about being prepared ahead of the journey and having food allergies just adds in a few additional steps. Here’s how to travel with food allergies so that anyone in your group can enjoy a fun vacation and lavishly live travel out loud. The above bag can be seen with our son, everywhere he travels and if he forgets it we turn around and NEVER leave without it, because we can’t. The bag is his lifeline and his tool bag in case of an incident. A simple food allergen attack could potentially threaten the life of our child, so we are prepared for what I consider BATTLE. How Do You Work Around Food Allergies When You Travel? Don’t cancel your trip and don’t let fear take over. If we can travel with food allergies and many other tactile allergies you can too! Food allergies are horrible, and they really do snap a bit wind out of the sail initially, but once you conquer the mountain the first time, it is nothing more than a small hurdle the next. We have learned how to travel with food allergies over the last few years and while it is a lot of pre-planning, you can kick back and relax a bit once you get organized. I guess the biggest thing I can tell you from all my experience with food allergies is that you ever, ever can let your guard down, and that I am always reading labels and worrying, but I do have a relaxed mode of worry. Our travels to Disney, Universal Orlando, Virginia, Ohio, Mexico, Cozumel, on Carnival Cruise and so many other places help us prepare for each future trip, as we add a few more things to the list to avoid. I stress out ahead of time and then I let the stress go a bit, knowing I can handle the situation because I organized ahead of time. The list is how we decide what needs to be packed. Please remember, our child sees a specialist regularly because of the extent of his food allergies, tactile allergies, and overall health, so it is not like we just have medicine prescribed, there are real reasons, real scenarios, and real incidents that have happened to us along the way so we now plan for as much as we can. Seafood – none at all — and we watch salad dressings as well to make sure that no Seafood is in them. Drinks – keep water in a bottle at all times as many drinks have PEAR in them and that would kill him . We made a list of all the possible things that could go wrong with our son’s health, things that have already gone wrong were first on the list, and then we thought of all the other possible scenarios. See, I stress out ahead of time and then I let the stress go a bit, knowing I can handle the situation because I organized ahead of time. The list is how we decide what needs to be packed. Please remember, our child sees a specialist regularly because of the extent of his food allergies, tactile allergies, and overall health, so it is not like we just have medicine prescribed, there are real reasons, real scenarios, and real incidents that have happened to us along the way so we now plan for as much as we can. Zofran is for any food or tactile item that he came into contact with, that creates his ear lobes, cheeks, and lips to begin swelling, which always leads to unforgiving nausea, via basic meds, thus the Zofran. This is a prescribed Medicine and is only used in emergency situations, which do tend to crop up, even when we are home and not on vacation. Next is Benadryl. Benadryl has multiple uses for our child. When it is not an anaphylactic shock, and it is a reaction that contains itching, or simple swelling, we use Benadryl – again this varies for everyone and every type of allergy. Steroids- these were prescribed ahead of time in the case of latex poisoning, which leads to stomach cramping and severe asthmatic coughing. The Steroids tend to take the inflammation away, and then his health moves back to normal a bit quicker. Epi Pens are with us at all points in time, because we can not control every scenario even though I plan and try, things happen, that are beyond our control, or food service people do not listen and make mistakes, even after you speak with them one-on-one. Latex Free Bandages- These are with us at all points in time because not all bandages are latex free and when you have a latex allergy that would just add salt to a wound, so to speak. Once on the Carnival Sunshine ship, we ate the first meal in the Restaurant and our Server talked with us about all the food allergies and then provided us a menu every night that he could choose from for the next day. Our son’s food order was set to go a day ahead and we knew they were taking perfect care of him, so that was a HUGE obstacle cured. Now we had a few places in Disney that we loved while we were traveling there. I will tell you this however, it was suggested that we did not visit the Animal Kingdom since the animals dine on peanuts, yet another allergen we battle daily. Universal Orlando and The Hard Rock Hotel & Cafe were outstanding taking extra precautions to ensure our son would be fine as well as our Gluten Free Daughter. The head chef in Universal Orlando sent me a list of dedicated fryers(so he could eat fries) as well as where there were no nuts, shellfish, etc. used so he could dine in the park even with allergies, it was absolutely amazing and easy! We simply looked at the map and planned our day around where he could snack and eat and he was one very happy little boy. Download this card to communicate allergies to all restaurants and life flows easier. We have found it absolutely necessary to pack a bag of snacks with us that are known as the SAFE SNACK BAG, free of every known allergen to him. We pack foods that he eats while we are home, and foods that travel well, not always the easiest combination, but we make it work. When we are in a rush, we make sure that he has his foods and we don’t take any chances with new places. Just because we have eaten somewhere one time, and it was safe, does not mean we Assume that he can dine there again. We always, alert the manager and discuss his specific food allergies. We have been turned away from places that use latex gloves and are unwilling to accommodate and from other places that bring all their food in and can not tell you how it is prepared, we just stay away. The best way to travel with food allergies is prepared! Organize and recognize that you have a huge responsibility and in order to have a fun trip, that everyone can enjoy you have to be prepared for whatever might be thrown at you. We make the list, we pack the bag, and we look at all the old situations that have happened in order to adequately prepare for possible future incidents. This is how to travel with food allergies, as we lavishly live life and travel out loud! We make the list, we pack the bag, and we look at all the old situations that have happened in order to adequately prepare for possible future incidents. This is how to travel with food allergies, as we lavishly live life and travel out loud! Please note I am not a Dr., nor providing medical advice, just providing an overview of how we travel and manage severe food allergies in our home. As always seek YOUR OWN Medical advice as this is just for use in our home but may be a springboard for you to speak with your Dr. About. Everyone has medications that they can and can not take, these are just what OUR Dr. has prescribed to help us manage severe food allergies. Helpful post. 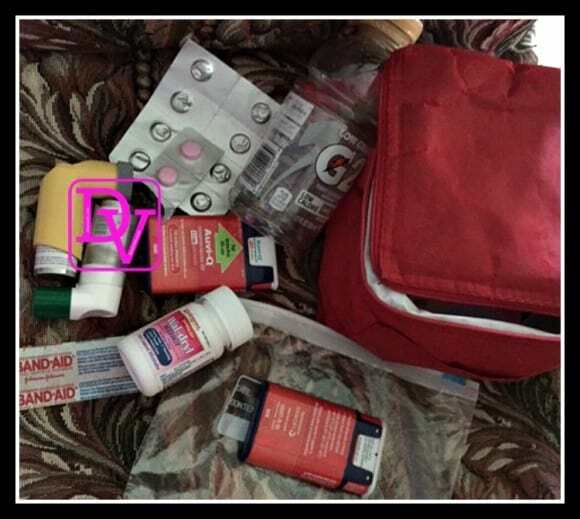 My son is very allergic to outside food and so we always worry about his health while traveling, but your great tips have helped me and now I can take proper care of him so that even he can enjoy his journey. Keep sharing such useful tips with the readers. Fantastic post. Your tips are really very helpful to all the readers who love to explore different places but are also allergic to food. It’s very helpful to me as I am bit allergic to some kind of food and it was stressful thing for my family but after reading your post I can overcome this issue and enjoy my trip.Keep sharing such helpful posts. A great rundown of the problems of traveling with food allergies. One doesn’t want to travel with these sorts of problems, so your approach gives me a lot to take into consideration. I totally agree that before traveling you need to find out if you have any food allergies and be prepared in case you do. I am going abroad and I consider taking a food allergy test. Hopefully, it will be negative. Very informative concept. Thanks for sharing us this wonderful tips for traveling with allergies especially for us parents. Keep it up! Oh Dana you are truly heaven sent! I have a daughter with food allergies too and it pains me sometimes to let go of our dreams of family vacations because I am so afraid of what might happen out there. After reading this article, I now have a bit of confidence to plan for a short weekend getaway out of state (for now). I am truly grateful! This is an eye opener post about food allergies. It only shows that when problem arises, you learned from experiences that you can come up with a better solution to handle it easier all the time. I am glad I don’t have food allergies because there are lots to do and consider. There is always a way if you want to solve a certain issues in the family. “We have found it absolutely necessary to pack a bag of snacks with us that are known as the SAFE SNACK BAG, free of every known allergen to him” What I think that, no matter you have problem to some food, when you travel, bring some goodies with you. Then you might feel happy with your travelling. Thank heavens I do not have any food allergies! I love food and it is the first thing I hunt around for in any new place I visit. These are good tips for my friends though. They hate it when I pig out on some new dish from wherever we go to. Those are some really cool tips to help us around when traveling with food allergies. I usually don’t have any food allergies in particular so I am cool with any food unless it is spicier as I will get some digestive problems after it. But I take it as a kind advice for me to have my medicines with me whenever I travel. Thanks for these tips. This one is a tough case to crack. For one food allergies are not that common. Thanks for the tips. Very helpful. but good thing I don’t have food allergies or probably haven’t discovered it yet. I feel you that handle the preparation for traveling with food allergies tends to get you stress. But you are able to handle it. You are such a great mom! I always learn from your tips. Oh wow. Traveling with someone who has food allergies do seem stressful. It really helps to plan in advance and good to know that having food allergies should not hamper someone from traveling!